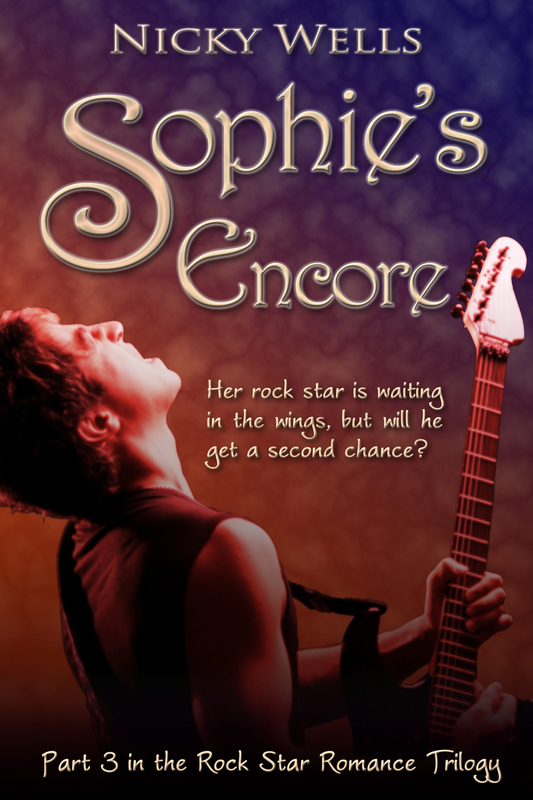 The Sophie’s Encore Launch Party!! ~Rock music, and non-rock music. Of course! ~Chat with some Very Special Guests indeed! Well, what would a party be without guests? We’ll be chatting with lead guitarist Lee! Renowned Rock Photographer Nick Elliott will be joining us on the phone to chat about his work and The Magic of Rock! High-energy rock and metal guitarist! Proudly presenting my latest book baby in the Siren Studios! Tune in and say hello! You can message us during the show by writing on the Siren 107.3 FM Facebook page!!! Let’s make this a rocking launch! ROCK ON! The thick door opens and you’re ushered into the inner sanctum by the clip-board carrying assistant. The stillness of the air immediately envelopes you ~ not a breeze, no outside sound can intrude into this secluded space. The walls are lined in soundproofing material and the small window is heavily double-glazed, with the panes slanting inwards at a peculiar, unfamiliar angle. You swallow hard. This is it! The host rises to greet you, a warm smile immediately putting you at ease. In a nervouse daze, you vaguely take in the console with all the buttons, the headphones, the computer screens. Finally, reluctantly, you sit down in the guest chair, an enormous microphone thrust into your face. You open your mouth. Your time has come. What will you say? 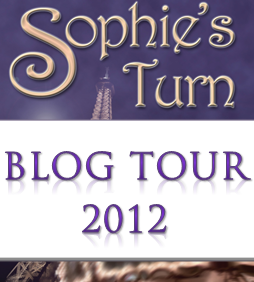 Last week, I announced tomorrow’s big radio preview party for Sophie’s Run right here on this blog. As I was writing, I suddenly realized I was excited and exhilarated about the event, but not nervous, at least not about the radio side of things. Anymore! I got a lot of questions after the blogpost went live. Many friends made jokey comments about how I’d become quite used to gracing the airwaves, and would I get my own show soon? I can’t answer that, but there is one recurring question that I now feel at least partially qualified to answer, and that’s what this post is about. What’s it like to be on the radio? Exciting. Being invited to take part in a radio show is exciting in many ways. First of all, there is the obvious thought that there will be people listening to what you say. You get a big audience and the possibilities are endless. Second, there is the excitement of going to visit a real studio, meeting a real radio host. Using a microphone, and seeing the red ‘On Air’ signs. Awesome! Scary. Did I mention that people will be listening, and the possibilities are endless? Among those possibilities is the potential for a monumental lapse of judgement, that dreadful faux pas, that Bridget-Jones (or indeed Sophie-Penhalligan) moment when you open your mouth and say completely the wrong thing. The show goes out live—there will be no opportunity to take anything back if you make a bumbling idiot out of yourself. Unreal. Uh-huh, once you get chatting to that wonderful host who’ll make you feel at ease and stop you from turning into a jittery heap of jelly, once you’ve uttered the first few sentences into that big fat microphone pointing in your face… You forget. You forget about all the people listening, it’s just you and the host. You just talk, and it’s only afterwards that you remember that people are listening. 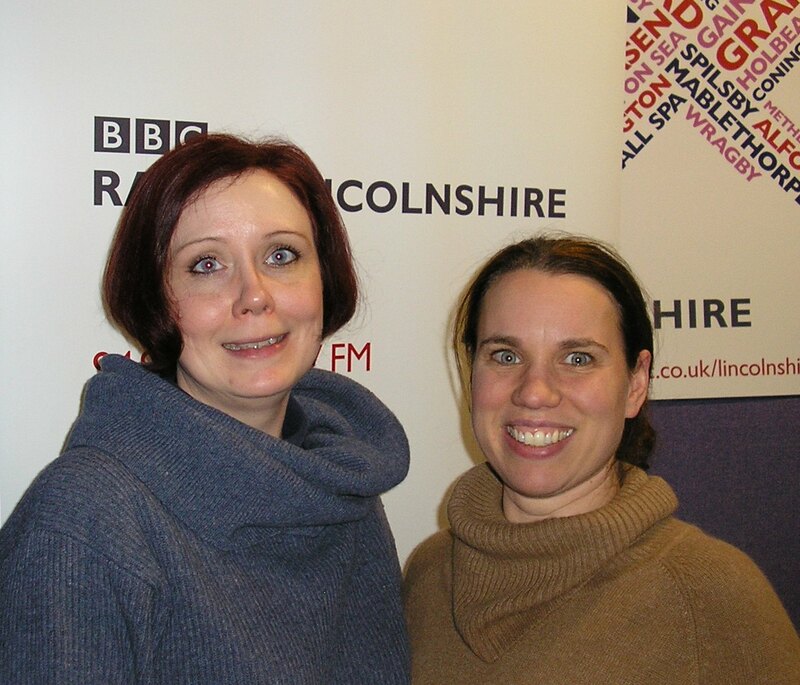 Nicky and Nicola after the chat on BBC Lincolnshire on 22 January 2013. 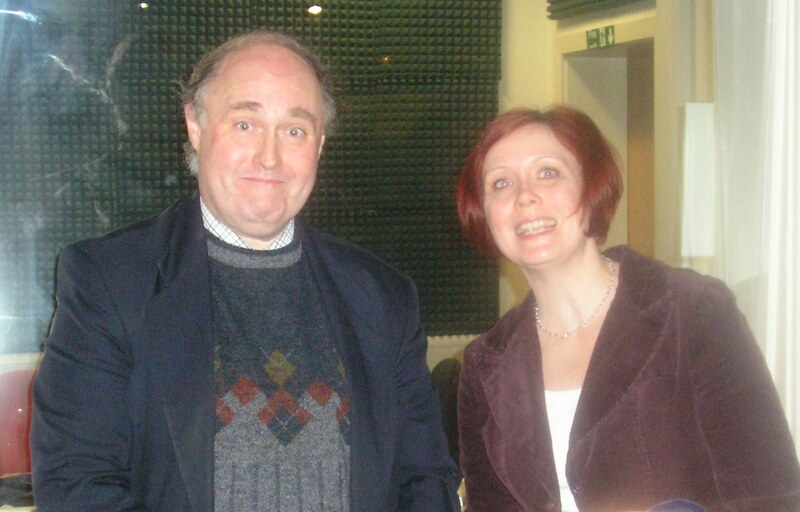 OK, so I do look terrified, but I had a great time. Honestly! Let me give you an example or two. 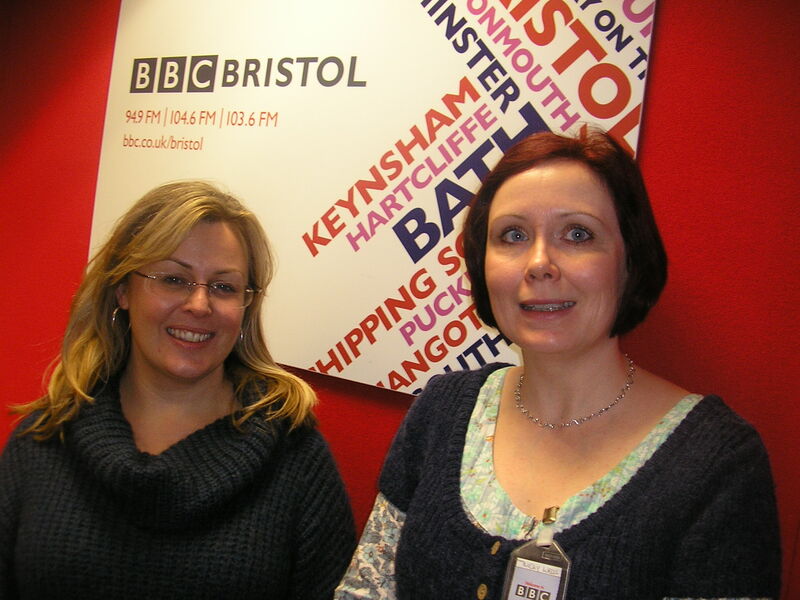 Twice I have been asked, on air, why I moved to Bristol, and both times I gave the same long-winded answer (learn, Nicky, learn?) involving an explanation of why my husband and I shunned a certain other city in our search for a new abode. “The good people of *&()(*$£^% will never now buy your books,” my husband joked after the first time and I lost sleep over it, went back to the podcast at least a dozen times, trying to decide whether there was real slander in my utterance. There wasn’t, of course, but what if I’d picked different words? What if somebody did take umbrage? Then there was the time when I was asked what makes Dan (my rock star hero) so attractive. I went into great detail describing Dan and… changed his hair colour. Uh huh. I knew seconds after I’d said it that I got mixed up. Absolutely nobody else picked up on it but it jarred me and I felt jittery and scared all over again. And most recently, I used a swear word on air. I couldn’t help it, it was right on the page that I was supposed to be reading. I didn’t think it was that bad a word, but it got a hiss and a raised eyebrow from the producer and I shrank and quivered in my boots, even more so when the host offered a quick apology for the use of bad language right after I finished reading. I could feel my ears burn red and I wanted to disappear in the ground. Nothing happened, obviously, and the consensus after the show was that really it wasn’t that bad a word for otherwise I wouldn’t have used it in my writing—but you never know who takes offense (I refer you back to points Scary and Unreal) and it’s better to err on the side of caution. Yes, indeed, lesson well and truly learned. I hope! Exhilarating. I have mentioned the buzz, haven’t I? When you come off air and the show is done (or at least, your slot has finished), the adrenaline rush is totally overpowering. It’s like you’ve drunk a gallon of coffee and you are literally humming with excitement all over. If you’re anything like me, you’ll have a big smile on your face and you’ll just want to sing, shout, let it all out about the fabulous time you’ve had on the radio, blundersome moments notwithstanding. This buzz is addictive, it truly is. It’s a delicious head-rush that perhaps gives a small insight into what an actor, movie star or rock star must feel like after a performance. So what would be my do’s and don’t’s for you if you have your first radio appearance coming up? ~Prepare, but don’t over-prepare. Know yourself and your books, and practice saying your two-line elevator pitch out loud several times, but don’t make yourself a slave to the exact text. You want to come across as lively and enthusiastic, not as a reciting robot. On that note—leave your crib notes outside the studio. Honestly, you’ll just get distracted. You’re not sitting an exam. You’re talking about YOU. Just wing it. ~Get there early. There’s nothing worse than turning up flustered and out of sorts. ~Relax and have a good time. As with any kind of performance or public appearance, your listeners (and radio host) will take their cue from you. If you’re nervous, everyone will feel slightly anxious. (Yes, I know this comment isn’t helping, but it’s important to remember!!). If you’re at ease, everybody else will be at ease. If you’re enjoying yourself, everybody else will have a great time. Said something wrong or silly? Well, either ignore it or laugh about it. There, done. You can do this! ~Smile! Weird as it sounds, research has shown that you can hear a smile in someone’s voice. Have you been on the radio or even the TV? I’d love to hear about it. Are you preparing for an appearance? Let me know if my thoughts helped. Rock on! PS. What, me, nervous? About TOMORROW? Never. Why would I be? What could possibly go wrong? I suppose the phone lines could go down, or the computer for that matter. Or people might not phone in, or be poorly. I might lose my voice. Alex might lose his voice. I might say something really stupid. The sky might fall on my head and the world might come to an end… *Rallies* It’ll be FINE! This radio thing is becoming a habit and an addiction. I can’t help it! Here’s a link to the iPlayer of this show. It will be functional until end of day, Monday, 28 January. You can find ‘my’ segment from 10 minutes in up to 29 minutes! PS. While I was sitting in the waiting area at BBC Radio Lincoln, I couldn’t help but reflect on the increasing number of times I’ve been getting to enjoy myself on the radio of late, and how that delicious cocktail of pre-interview nerves always gives me a buzz that lasts through the rest of the day. I might just blog about this in more detail in the coming week or so. What do you reckon? 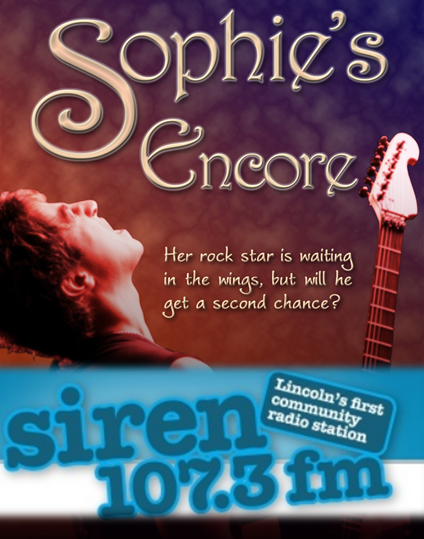 Second appearance on Siren FM Midweek Drive ~ rock star addiction, advances, and the right way to hold your fork! 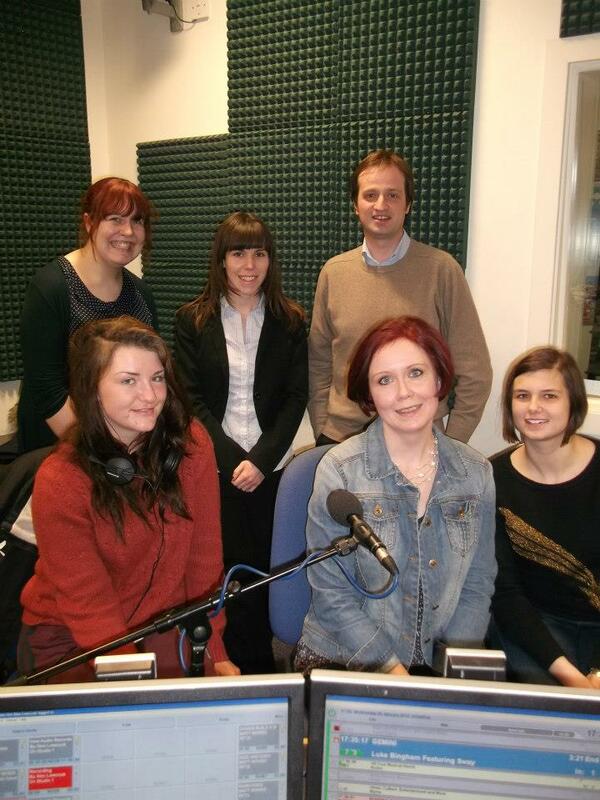 Last week Wednesday (5 December), I took part in my Second Midweek Drive over at Siren FM. Also in studio were Alex Lewczuk, Claire Parker, Ed Wellman (for a little while), and Fien Hiel. Of course, no opportunity goes unmissed for sharing Sophie’s Turn with the world… and Alex promised to put the little Christmas flyer up somewhere prominent for me: Thank you! The line-up included: Cameron Tilbury, CEO of Maple Star Music and Media; Liz Brewer, Premier Publicist and Author of “The Ultimate Guide to Party Planning and Etiquette”; Michele Monro; Deborah White, author of “Deceit” and “Wickedness”; and top filmmaker, Ilana Rein. Well, it was awesome and I can’t wait to do it again!! Co-hosting a radio show for a couple of hours? Talking about Sophie’s Turn live on air to all manner of interesting and awe-inspiring people? 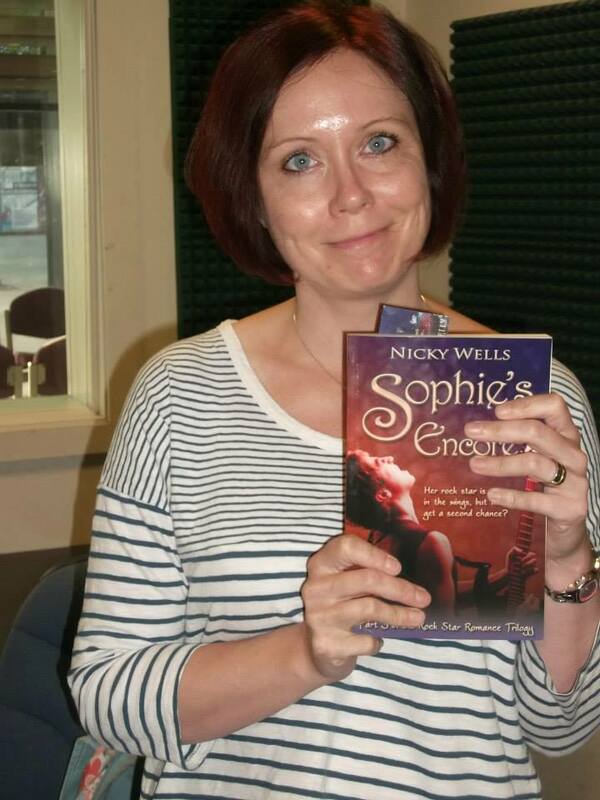 Offering short readings of Sophie’s Turn live on air, right there and then? Sure, bring it on, I’m game! In fact, it already happened. 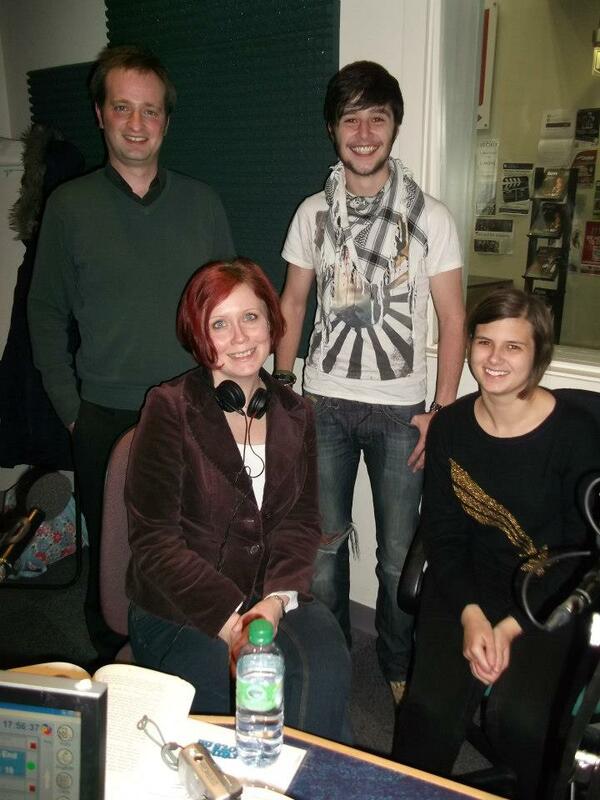 On October 24, 2012, I had the tremendous pleasure of hosting the Siren FM midweek drive show from 5pm to 7pm, alongisde chief presenter Alex Lewczuk and co-hosts Katie Grimason and Ed Wellman (and Tom, for a short spell). Here’s me with Ed (back left), Tom (back right) and Katie (front right) in the Siren FM studio. Dream team! Award winning author whose credits include The Dog-Faced Gods trilogy and Torchwood. I know. Incredible! Here’s your chance to listen. I won’t upload the files as a two-hour programme makes too huge a file, but here are the links to the podcast, in two parts. I’ve been invited back! I’ll have another chance to do it all again in early December ~ how excited am I? Thanks for having me on the show, Alex! So. My strategy for blundering through unexpectedly meeting outstandingly talented, interesting and successful people? Well… I laugh a lot. And I talk a lot.